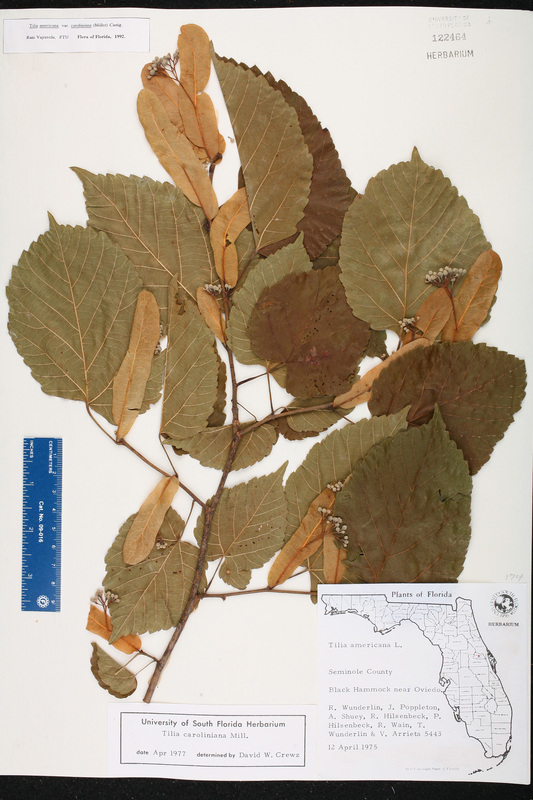 Taxon: Tilia americana var. caroliniana (Mill.) Castigl. Locality: United States, Florida, Seminole Co., Black Hammock, Black Hammock, Near Oviedo.